One of the most common reasons why people hesitate to buy a handmade rug is to analyze the quality of carpet. 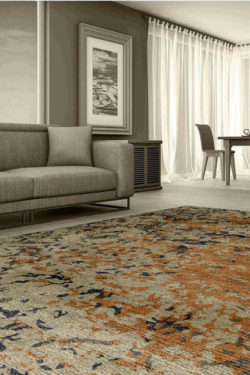 Handmade carpet and rugs are very similar to machine-made rugs in terms of design and colors but there is a huge difference in terms of durability, material, colorfastness etc. A handmade carpet is a real foundation of a gorgeous floor. It is an expensive item because it takes many months to weave. It is woven in natural materials which is hard to get. It is made in pure New Zealand wool, pure silk and cotton material using hand knotted, hand tufted and flat-woven techniques. If you are planning to shop a rug online or from a store then find the below tips which will help you to get a right carpet for your home. Shop online rug: If you are going to take a rug online then select a website which has positive customer’s feedback. Read product reviews on website. Read descriptions carefully. Measure your space before buying a rug. Check the quality of wool and silk: If you are going to shop a carpet from Store then check the quality of material. 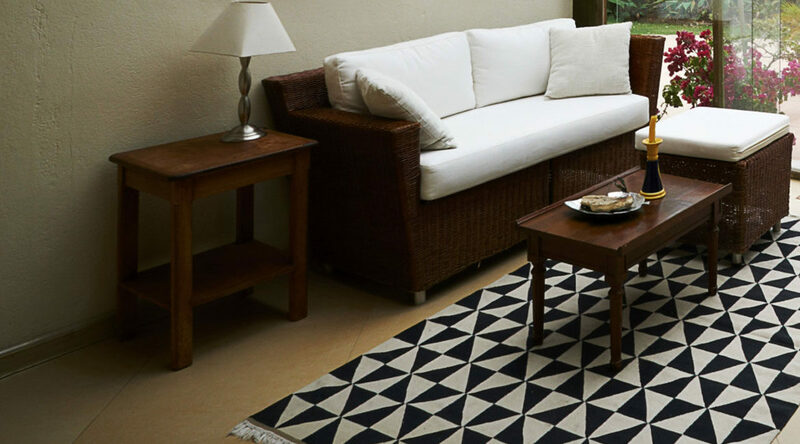 Handmade wool rug is woven in pure New Zealand wool which is produced from the sheep hair. Silk material is produced from the larva of cocoon. To check the quality of wool, massage the material softly between your fingers. Does it feel soft, flexible and gorgeous or does it feel crisp, dry and brittle? It should feel soft and flexible. Check the pile: Hand-knotted carpets are woven in interweaving techniques and contain piles and knots. If you want to check the quality of carpet then always check the number of piles. Silk area rug is made in two types- Silk on Silk and Silk on Cotton. 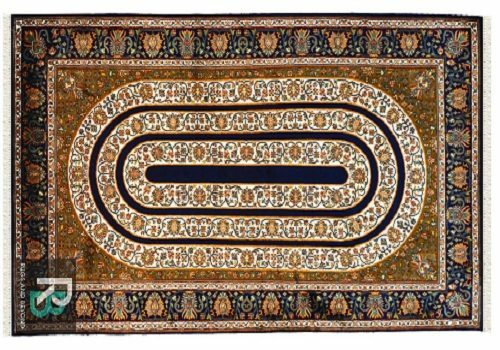 In silk on cotton, it contains about 326 knots per square inch and Silk on Silk carpet contains about 576 knots per square inch. For checking the pile you should move your hand from down to up on the carpet. If you feel resistance, it means it has low pile which is a good sign for handmade carpet. Check color and design: Color of carpet should be fast and true. The carpet yarn should dye using chrome dye. Handmade carpets are woven in traditional and modern designs. 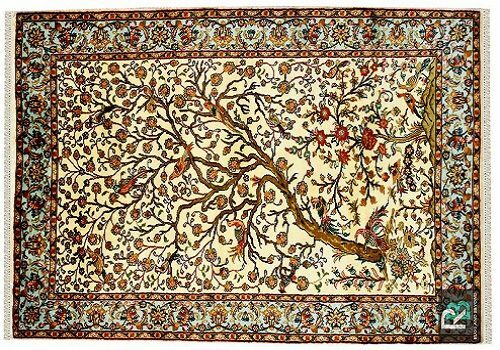 In traditional design, you can find Kashan, Ardabil, qum, Hamadan, tree of life, bidjar, Bokhara etc. 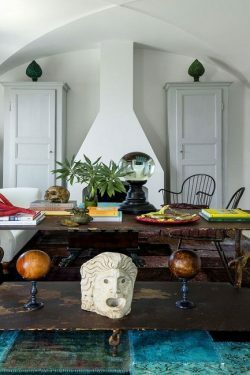 These designs are very famous worldwide for traditional décor. You can select design according to your home interiors. In the modern carpet, you can shop contemporary rug, modern rug, erased pattern, geometrical design and bold floral pattern for the stunning look. Knot counts: This is the main important thing to determine the quality of rug. You should count the knots of carpet. Usually, handmade rugs contain higher knots and it indicates that those carpets are highly durable and strong. 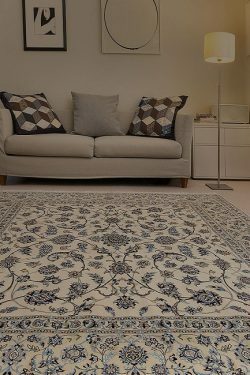 So, after considering the above tips, you can shop your beautiful rug from carpet store in India or online rug store.